The brand-new Miss Kobayashi’s Dragon Maid spin-off series starring the fan favorite dragon, Kanna! After leaving her otherworldly home in search of her fellow dragon, Tohru, young Kanna found herself unofficially adopted by Tohru and her human companion, Miss Kobayashi. 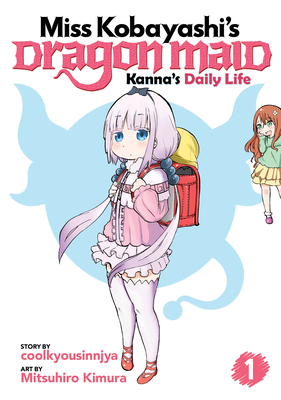 From attending elementary school to making new friends, Kanna learns to adjust to the human world with the curiosity and cuteness that only a little dragon can have! Coolkyoushinja is a Japanese creator best known for his works Komori-san Can’t Decline, I Can’t Understand What My Husband Is Saying, and Miss Kobayashi’s Dragon Maid—all of which have received anime adaptations. Mitsuhiro Kimura is a Japanese manga artist best known for Miss Kobayashi’s Dragon Maid: Kanna’s Daily Life.